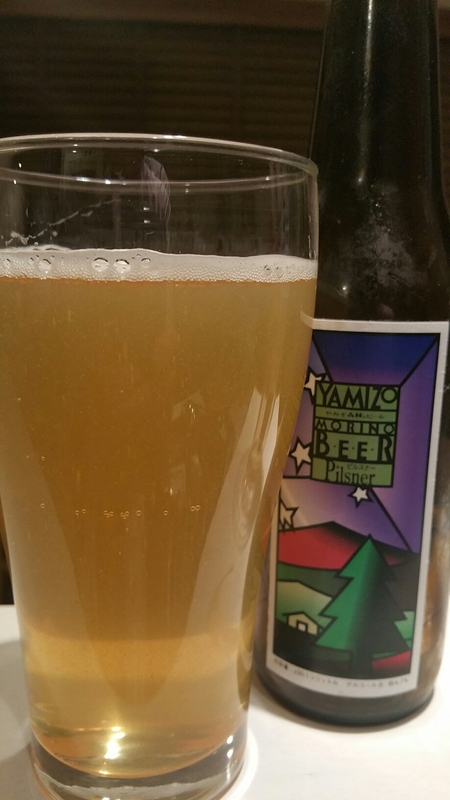 Daigo Pilsner is a 5% pilsner from Daigo Brewery, based in Ibaraki, Japan. It’s part of their all-year round range of beers and Daigo Pilsner can be found both in bottles and on taps. And that is all we could find out about Daigo Pilsner. Not the clearest of pilsners we’ve had. Daigo Pilsner poured out a hazy golden colour with minimal amount of head on top – nothing like the store bought macro beers that are out there – and it was disappointing to see such a limp looking beer. What little head there was appeared to be a ring of bubbles on top that quickly popped. At the aroma made up for it, with a sharp biscuit and cereal aroma covering up some citrus aroma once it had warmed up. The body was more of the same of the aroma – nothing evolutionary or revolutionary with Daigo Pilsner. It did exactly what it was supposed to do which was satiate my thirst with a crisp malty bite and a hint of hoppy bitterness that faded fast. There was a slight citrus edge to the beer as well, though it was fleeting and I couldn’t quite pin it down on whether my brain was imagining it or if it was real. Daigo Pilsner is a bog-standard craft beer pilsner – not much better than the macros out there, especially for the price it is.